There are moments in life where you completely zone out from everything around you. In moments like these, the world is yours. Take advantage of these situations as often as you can. I experienced this sort of euphoria during my Saturday excursion of North By Northeast. I’ll get back to that. First, let’s start at the beginning of the night. When you’re a kid, your favourite band often becomes an icon for you. Although I had many favourite bands growing up, one distinct connection was made. Upon purchasing the video game Rock Band 3, my dad and I made the discovery that new songs could be downloaded and played. 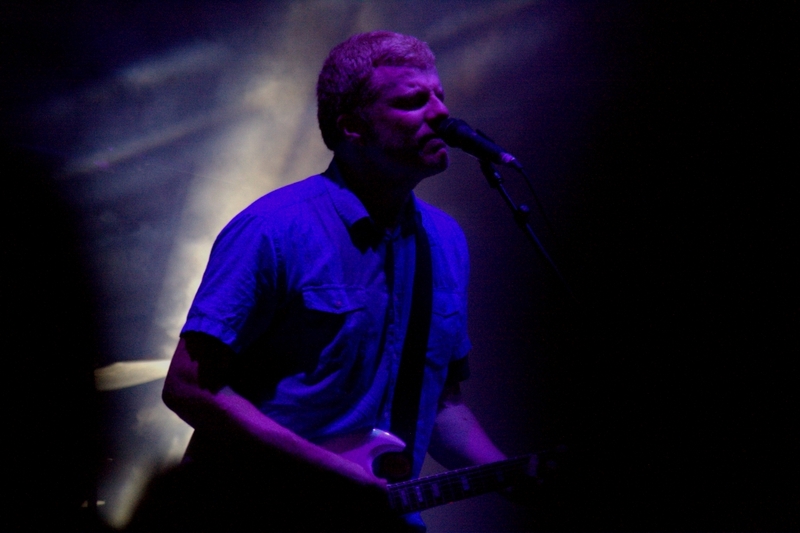 The New Pornographers, the Canadian supergroup of epic proportions, graciously donated two of their songs for the enjoyment of one musically-developing teenager. I loved playing the drum track for “Use It” with its sporadic speed and complex rhythm. I felt so accomplished when I would get 100%. This band followed me all throughout high school and university, being one of the few that has remained in constant rotation. On Saturday, June 20th, I had the pleasure of seeing the group live. Granted, two of the key members (Neko Case and Dan Bejar) were missing in action, but that didn’t prevent the band from coming with everything they had. I had seen the two missing players on solo tours, each incredible in their own way. The remainder of The New Pornographers left A.C. Newman and Kathryn Calder in charge of leading the crowd. Playing at Yonge-Dundas Square can be intimidating. It’s a huge, public space supporting free live music. Newman took this opportunity like a champ, joking throughout with humourous quips. As they emerged from backstage, Newman glanced at the huge screen projecting the show. “Look, there we are! Guys, you’re not looking,” gleefully pointed Newman as his fellow band members equipped themselves. He continued making jokes about the venue, with a discernibly sarcastic plug for the film Ted 2, praising Mark Walberg’s acting and musical career. Kathryn Calder did a phenomenal job replacing the usual lead female vocalist Neko Case, keeping in time with her signature vocal tones. 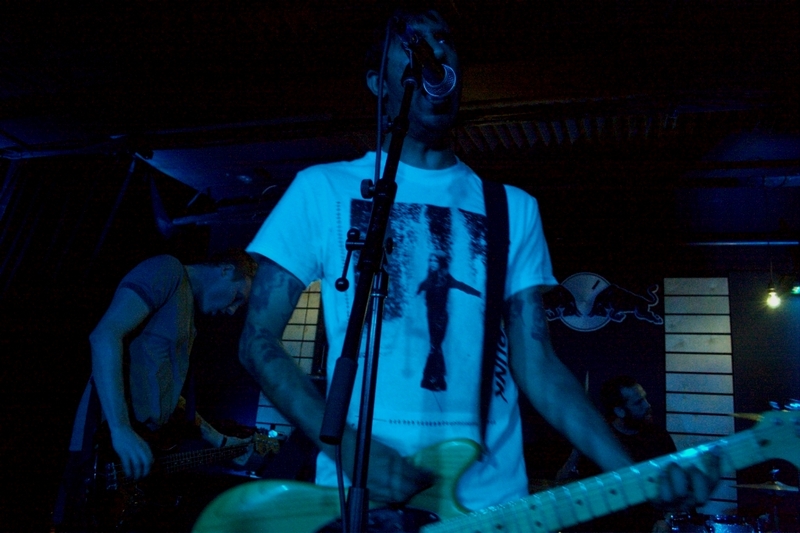 The band jumped around their discography, pleasing the crowd with gems like “The Slow Descent Into Alcoholism” and introducing them to new cuts like the grower “Backstairs”. Overall, the band performed a standard stage set without any fancy tricks up their sleeves. They came, they played, and they lived up to the expectation they set for themselves. After leaving Yonge-Dundas Square, I went to Adelaide Hall. Once again, being a member of the media saved me the trouble of fighting a line. I casually walked around to the side of the building where a velvet rope was escorting VIP members into the venue. “This is almost too good to be true,” I thought. I entered the dimly-lit hall to take in what it had to offer. The glow of the stage lights shone upon the band finishing their set. Greys, a local Toronto punk outfit, began their set as I shuffled to the front. Chaotic would be the best way to describe Greys. Their youthful antics translated through their abrasive sound and their wonky on-stage presence. The bassist, almost looking like a young Josh Homme, gave his body a full stretch throughout his performance, leaning back and forth and using his space as a chance to move about. They ran through their blistering set, warming up the masses for the insanity that was to follow. 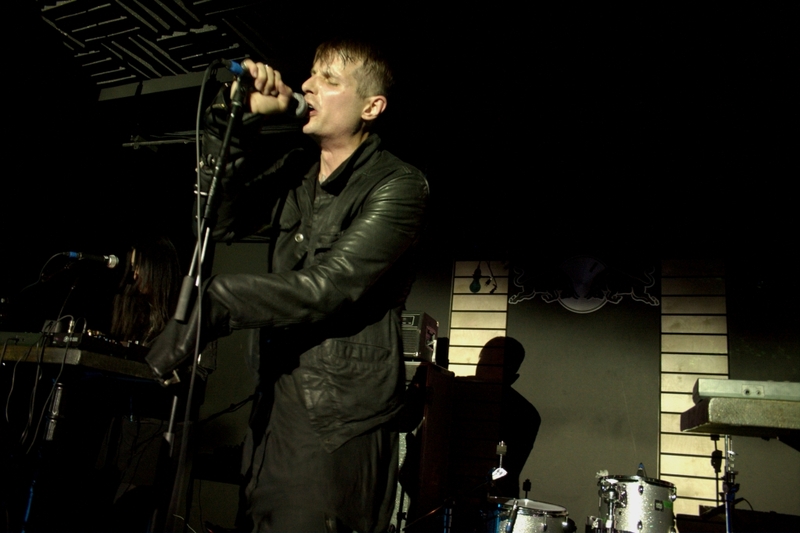 Cold Cave was up next, a last minute replacement for the dropout of Vancouver-native group White Lung. Their pulsating bass and strong synths filled the room while bright, black-and-white videos played behind the band. At times, it was impossible to see Cold Cave as they hid in the darkness they had created for themselves. Though it was a strange pause from the raucous before and after them, Cold Cave managed to hold their own and give the audience an entertaining spectacle at midnight. Now, as I was saying at the beginning of this review, the art of zoning out is often taken for granted. My job as a music journalist never stops. I have to take everything into consideration. However, when Deafheaven, the critical darlings with a touch of bad deep within, came out to the already-rowdy crowd, pure pandemonium struck. The opening of “Dream House” was enough to kick everyone into full gear as the room exploded with flailing bodies bouncing off one another. I gave into the havoc, bracing for impact all while enjoying the show. The music was not simply there to be played, it was to create an atmosphere. It soundtracked the scene of a small club being taken over by an extreme example of body-on-body contact. I was lost to the noise and I couldn’t be happier. It was a dangerous game to play though. On top of trying to protect my equipment, I had to be mindful of my comparatively small body as sweaty giants lunged towards George Clarke, the man with the voice of a screaming death eagle. The funny thing about George Clarke was his demeanour. Prior to the show, he bent down to eye-level with excited fans below to chit-chat. I overheard their conversation; Clarke was considerate in asking how everyone was enjoying their night. One person curiously asked when the highly-anticipated third album would arrive. Deafheaven promised a third album sometime this year and Clarke was happy to say that “it will be in the fall”. When asked for more details, Clarke simply remarked that the first single “is coming soon. When it hits, it’s gonna hit“. During Deafheaven’s set, Clarke was a transformed man. As per his usual stage routine, Clarke embraced the persona of a demented conductor, controlling the crowd with his hellish gestures. As the show progressed, the energy didn’t dissipate. Song after song, the crowd continued to show their appreciation for Deafheaven by throwing themselves against each other. Crowd surfers and stage divers came in numbers, as to be expected. There was one stage diver who was slightly different from the rest. Running on stage in all white, How To Dress Well’s Tom Krell, known for his poignant indie R&B, smiled as he jumped into the pile of bodies. At first, I was in a state of disbelief. No, How To Dress Well couldn’t have just jumped into the crowd at a Deafheaven concert. Sure enough, he went backstage and watched the rest of the set where I caught a better glimpse of him. Musicians surprise me every day. 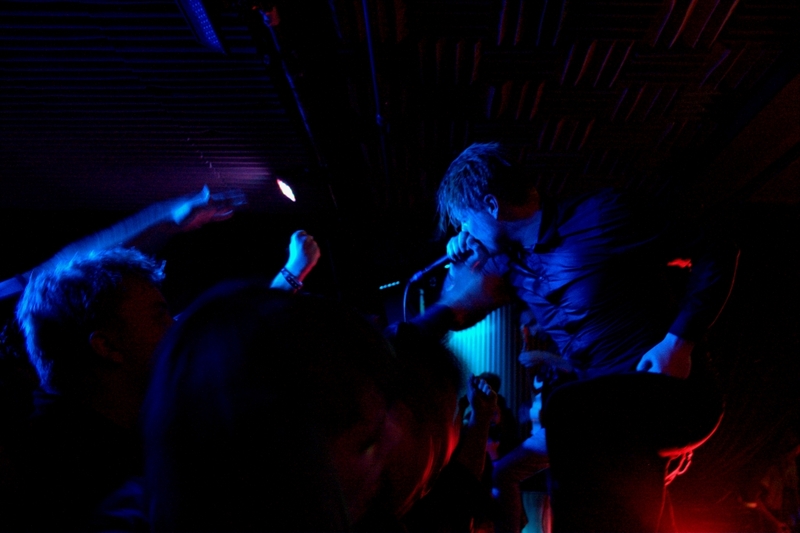 In the end, Deafheaven may have put on the ultimate live show. They played material from their entire discography, from “Unrequited” to “From The Kettle Unto The Coil”. They force-fed the audience raw energy, reaching out and interacting as a regular person ought to. 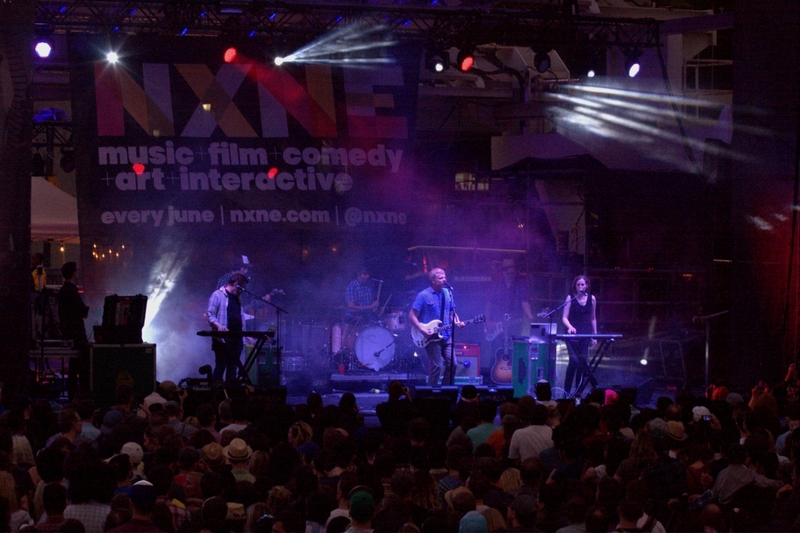 They even continued to play after the NXNE staff advised them to cut their set. To me, any band who commands the stage for an hour with such ferocity deserves some sort of recognition. Deafheaven may not be for everyone, especially not the faint of heart, but their style and execution is unmatched and that’s why I love them.